As marketers we are often way too busy to create a thoughtful, heartfelt message during the holidays. We can’t help you there, but what we can do is help you create a fun mad-lib style custom greeting that will surely spread joy through your social networks and beyond. It’s fun, interactive, and easy to share with your colleagues and friends. 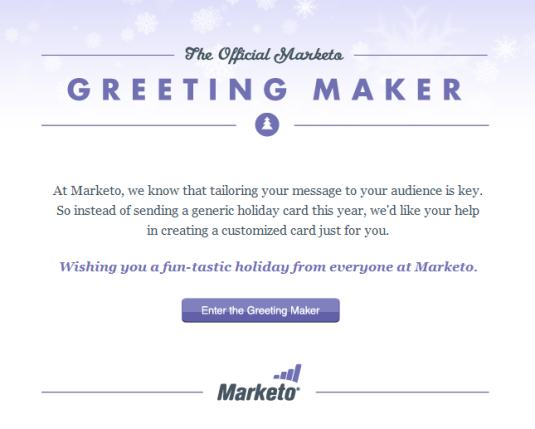 Get started creating your very own custom holiday message with the official Marketo Holiday Greeting Marker!